On February 4, Iranian television broadcast what was described as the launch of a space vehicle. It also reported on the opening of a space center to oversee the country's domestic program to place satellites in orbit. Iran already has a communications satellite in orbit, placed there for them by the Russians. When I read this news item, I had a deja vu moment. What we saw Monday was almost identical to what happened in Iraq in December 1989, when Iraqi television broadcast the launch of what Baghdad claimed was a space launch vehicle. We believed this was a cover for the development of a medium range ballistic missile, a three stage system (the second and third stages were inert for this test launch) designed to carry large payloads, possibly nuclear, to targets at least as far as Israel. At the time, we knew that the Iraqis had a well-funded ballistic missile research and development program called Program 144. 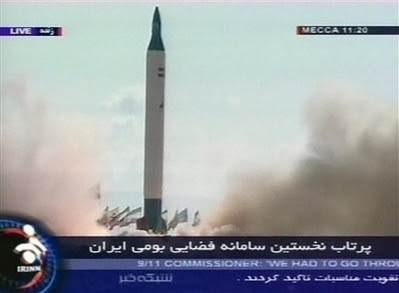 When we watched Iraqi television coverage of the launch, written in Arabic on the launch control console were the words "Project 144/2" - which we assumed placed this project in the ballistic missile program rather than a true space program. We later learned from Iraqi documents obtained after the Gulf War that Project 144/2 was the production and modification of Scud/Al-Husayn class missile airframes and "special" warheads. Iraqis referred to chemical, biological and nuclear munitions as "special weapons." The Iranian launch vehicle bears a strong resemblance to the Shahab-3 intermediate range ballistic missile, an Iranian-produced version of the North Korean No Dong. The Shahab-3 has several variants, some multi-stage. To put an object into space successfully - or achieve longer ranges with a ballistic missile - it must be multi-stage. We discovered that the Iraqi program was to test multi-stage technology. They had not yet developed the technology to properly launch multi-stage missiles - the United States had successfully prevented the sale of precision triggers required for the staging. 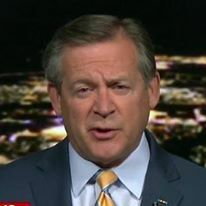 Just as many believe today that the Iranian nuclear research program is a cover for a nuclear weapons program, this may be nothing but a cover for a medium to long range ballistic missile development. Call me skeptical, but I think this Iranian "space program" needs careful monitoring.